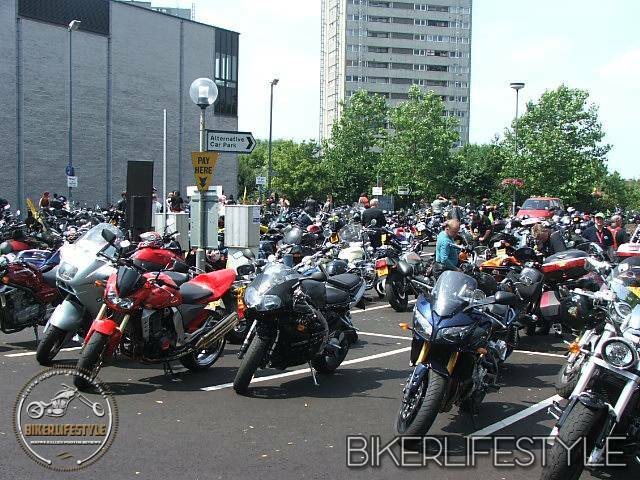 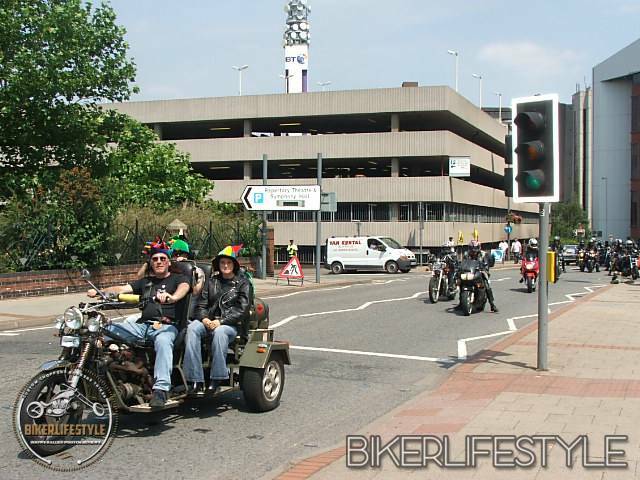 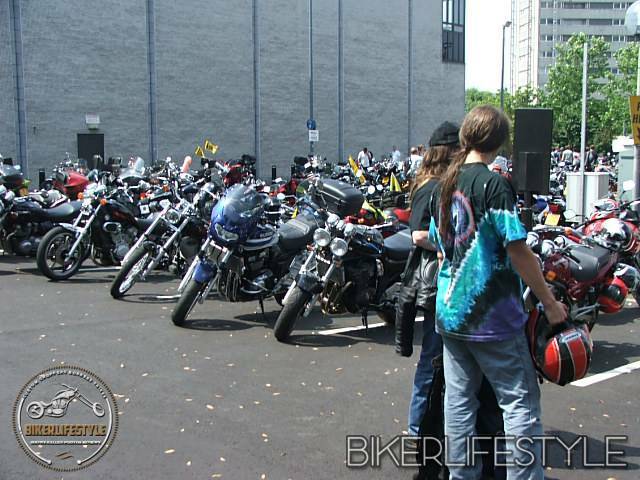 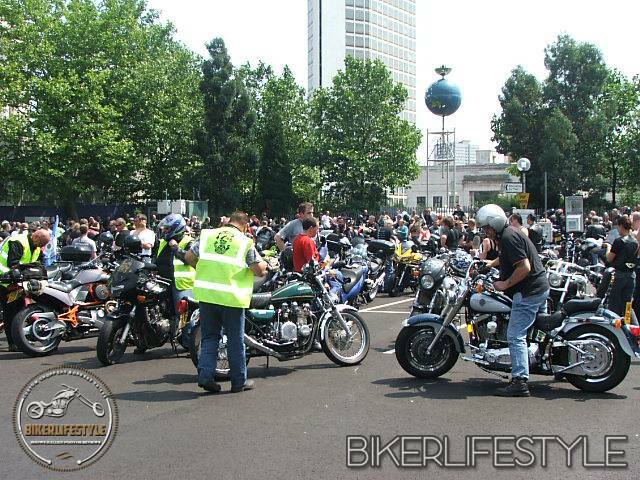 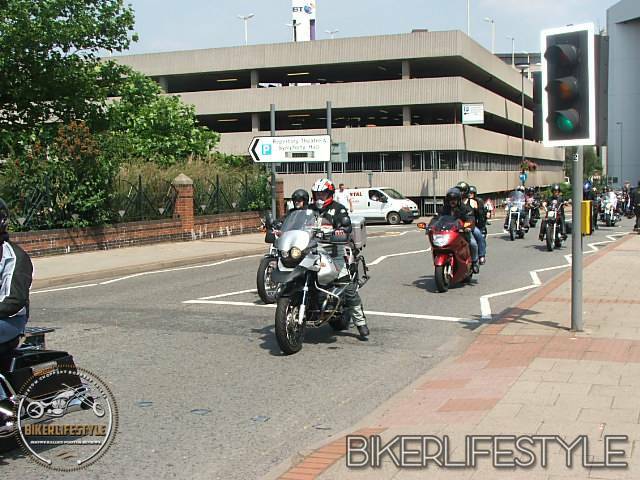 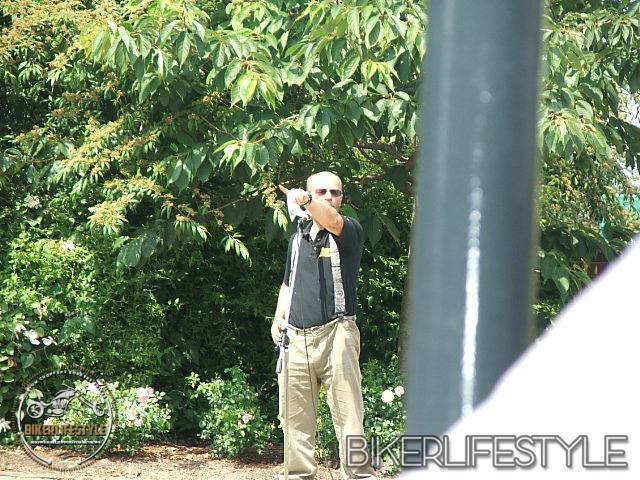 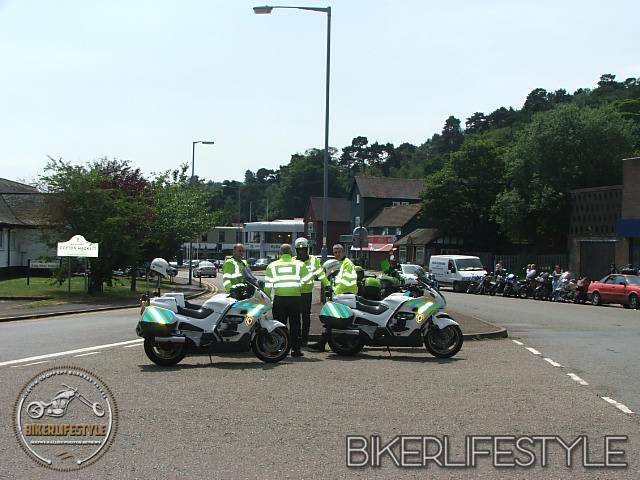 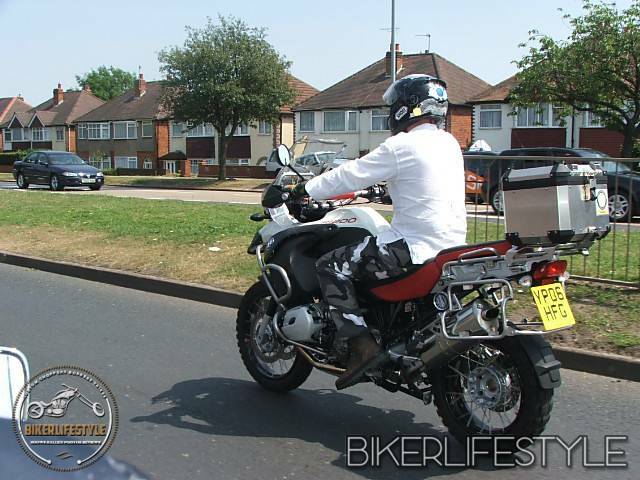 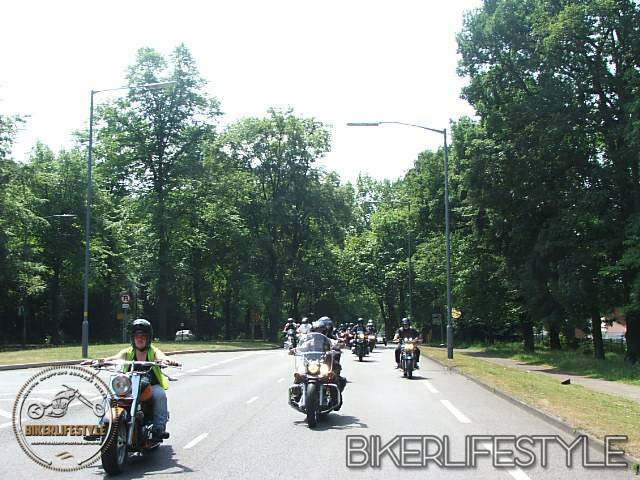 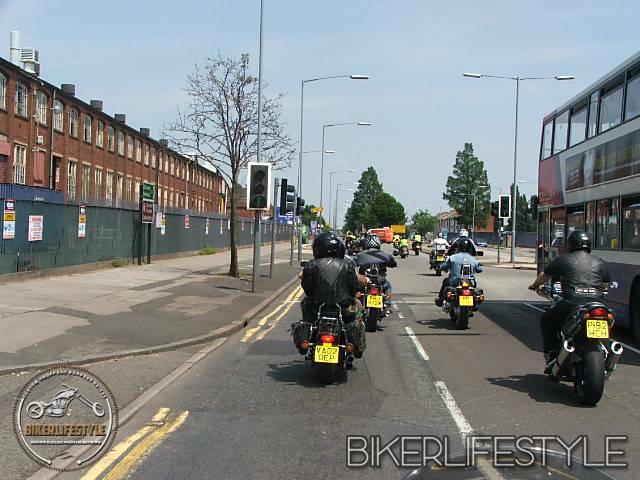 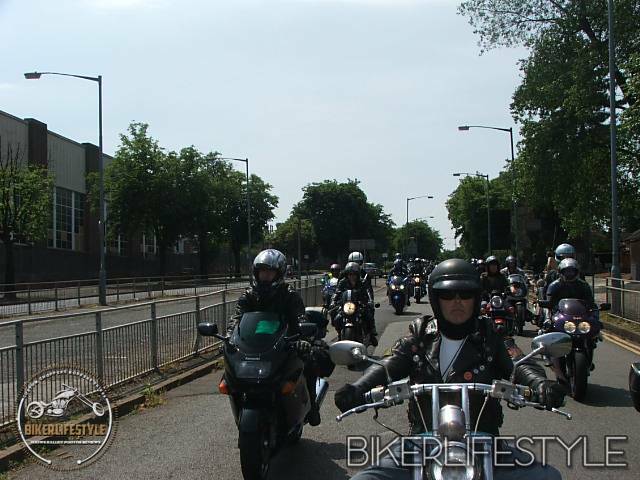 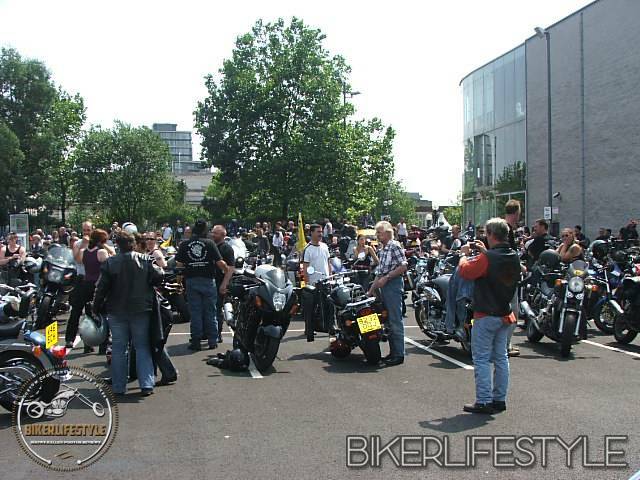 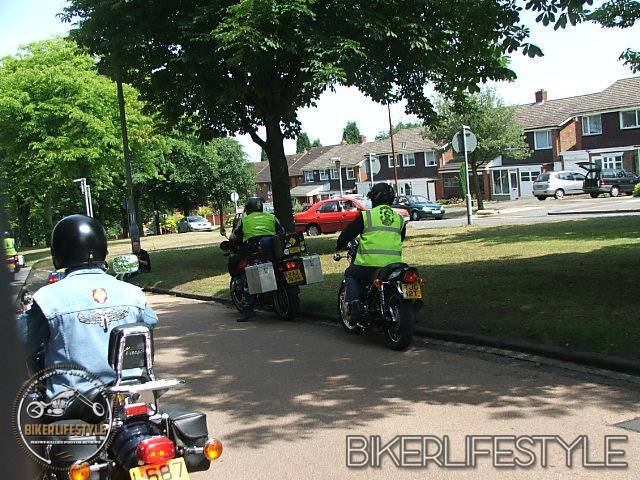 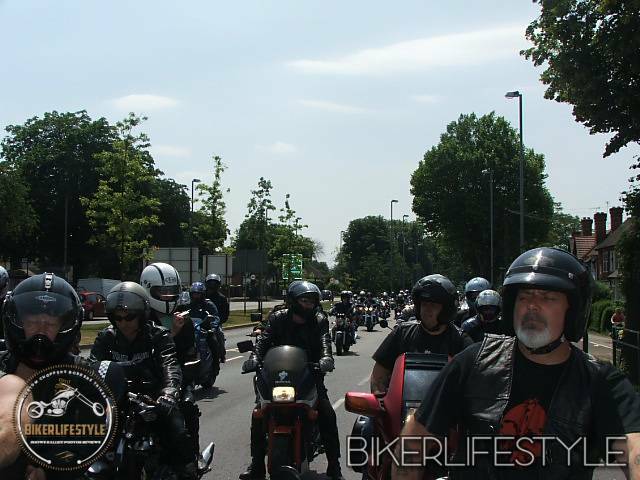 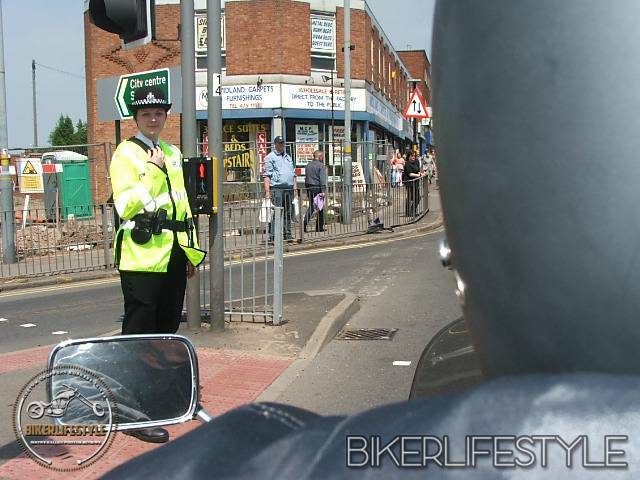 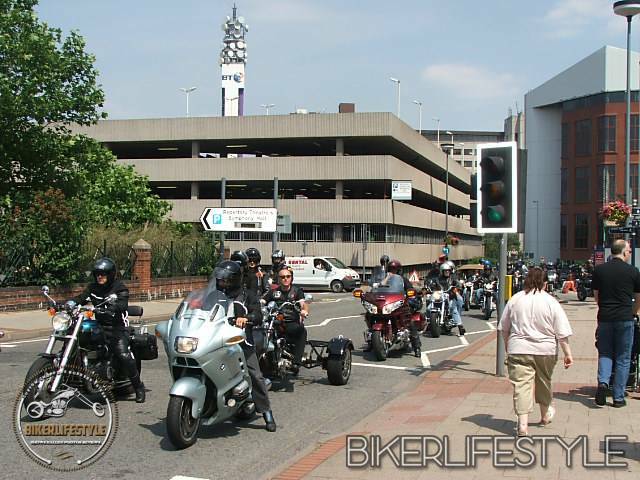 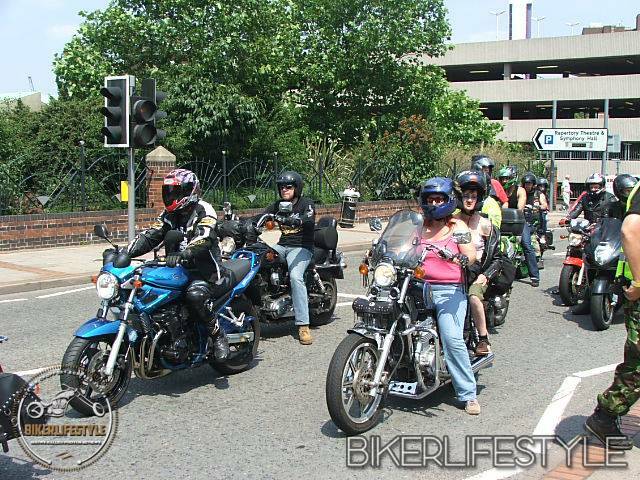 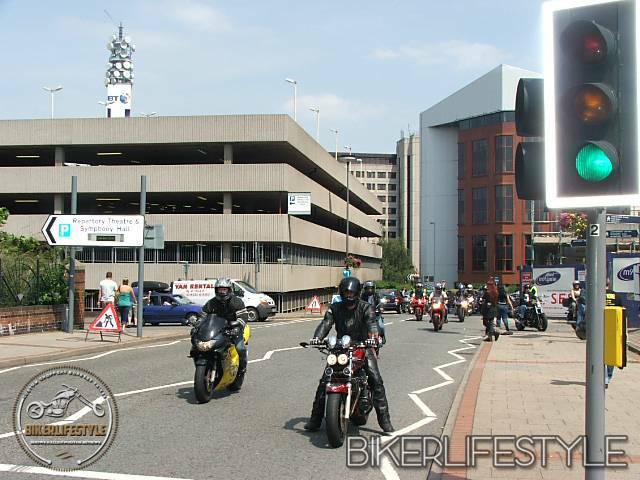 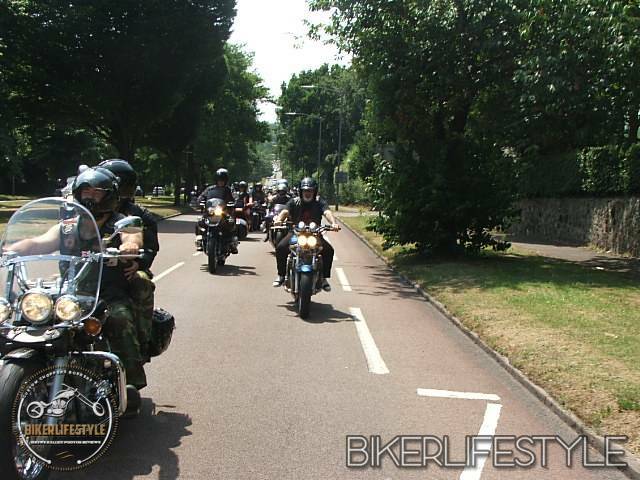 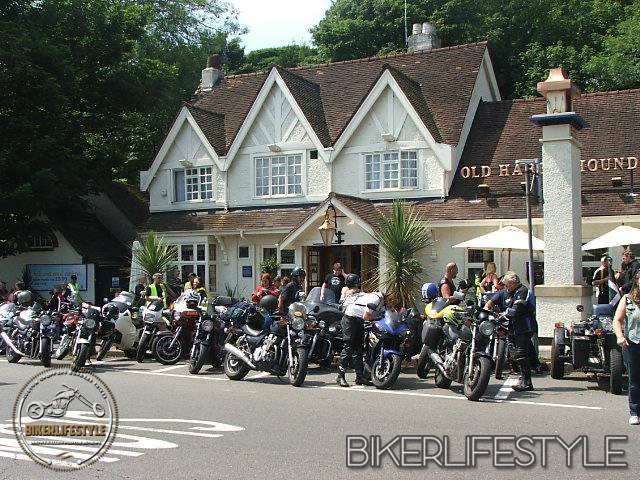 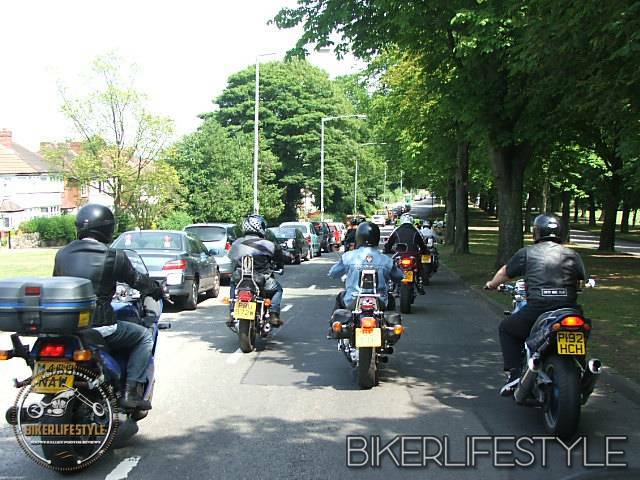 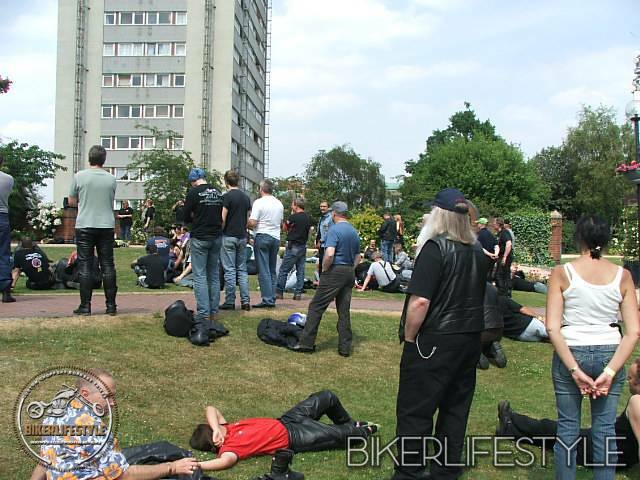 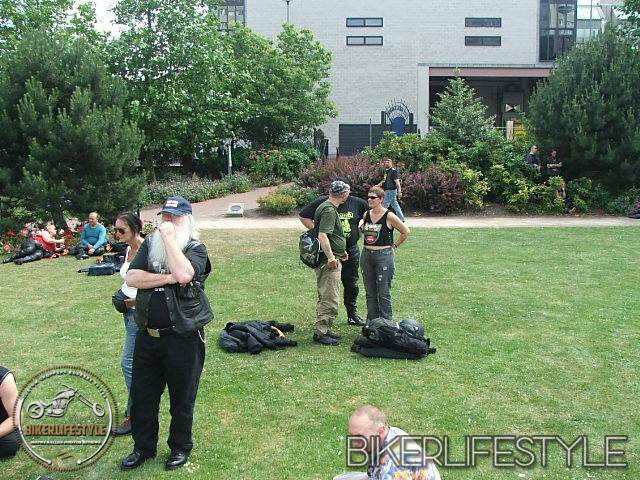 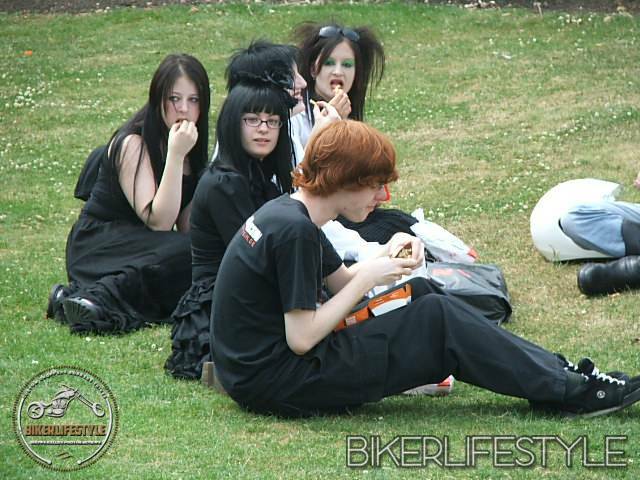 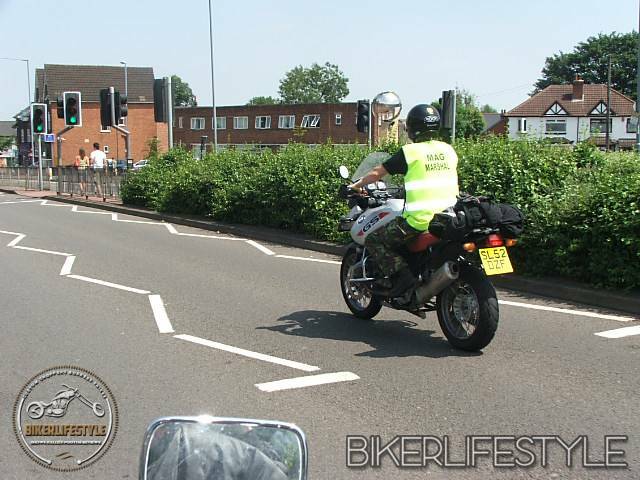 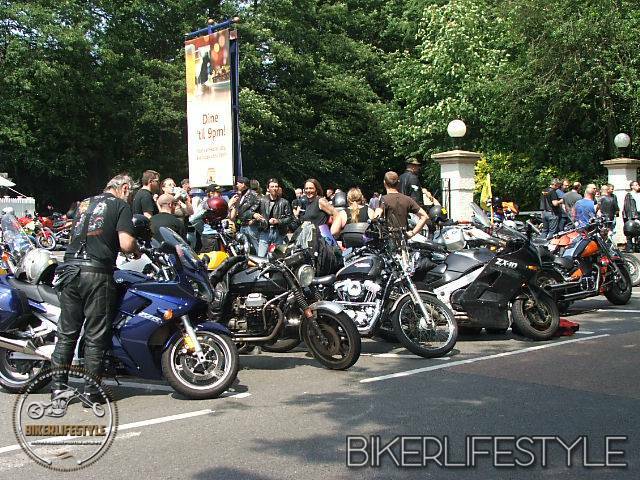 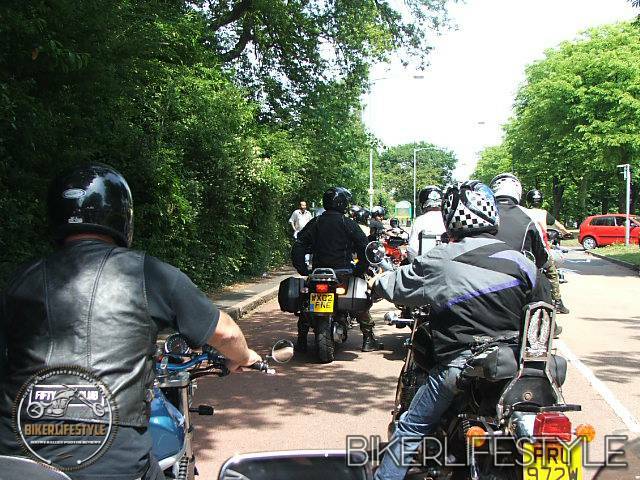 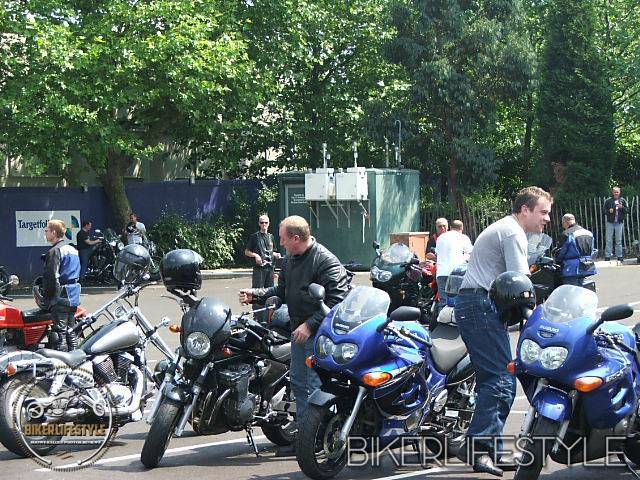 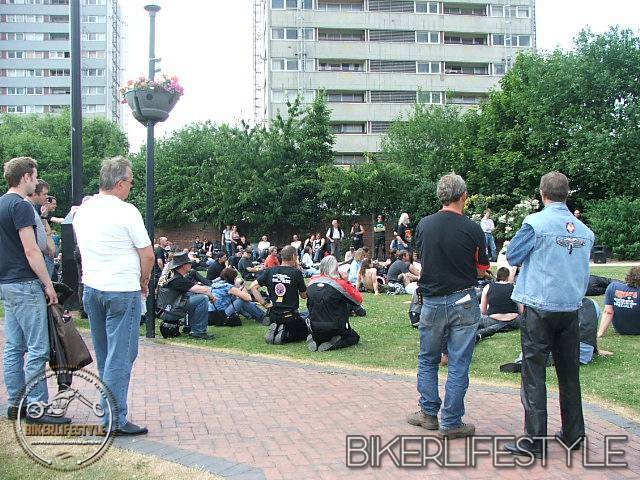 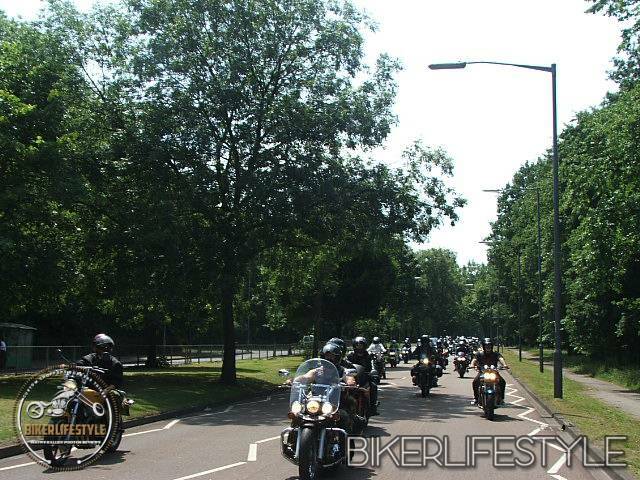 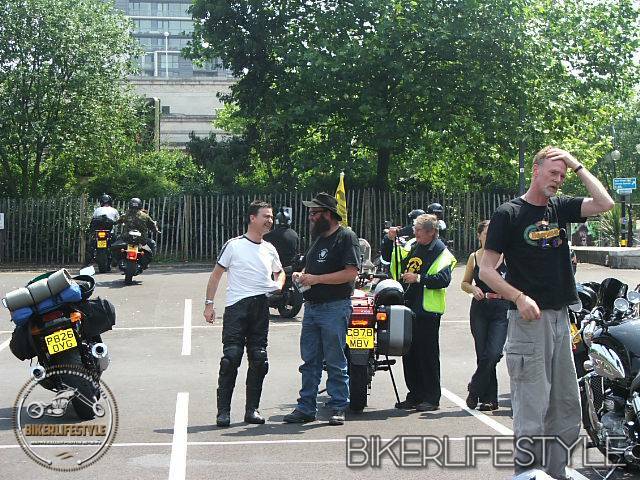 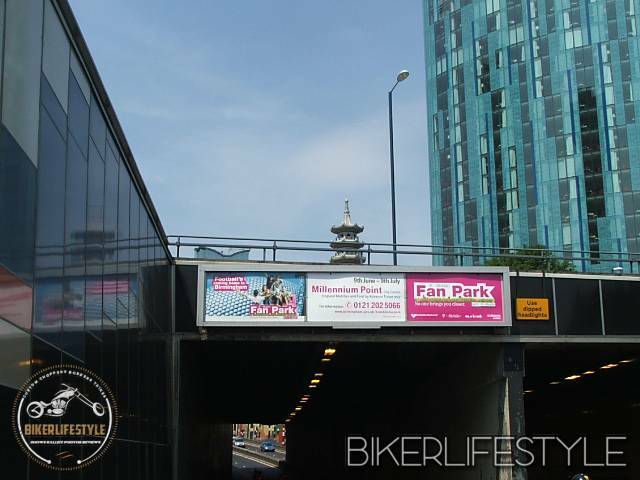 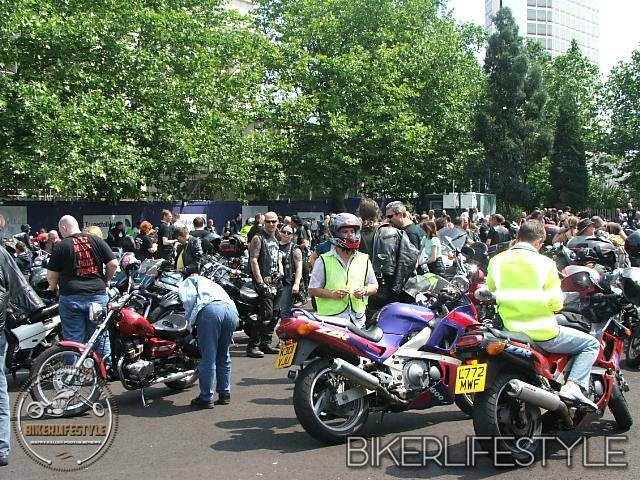 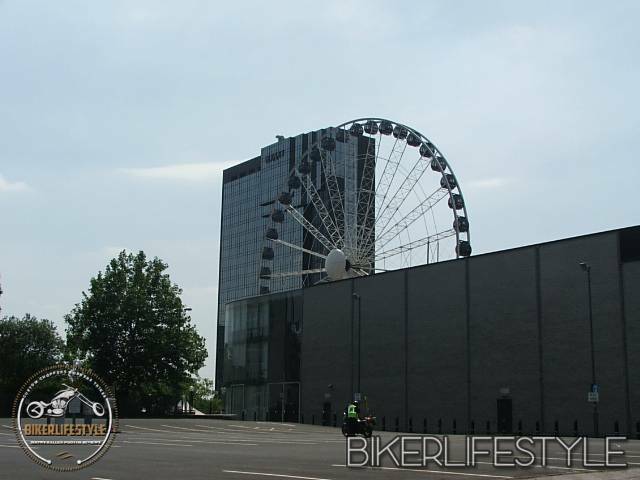 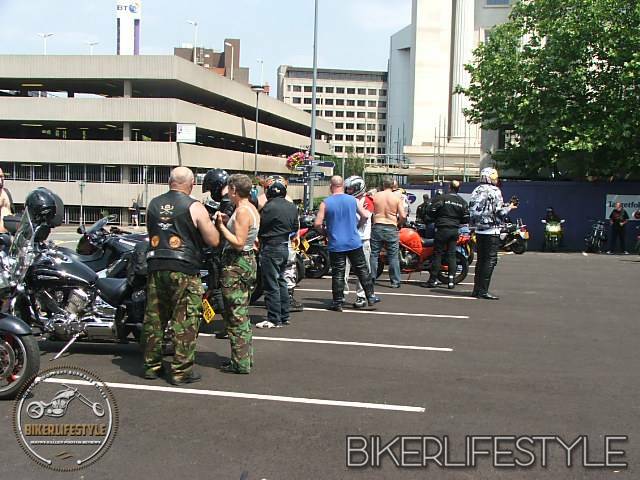 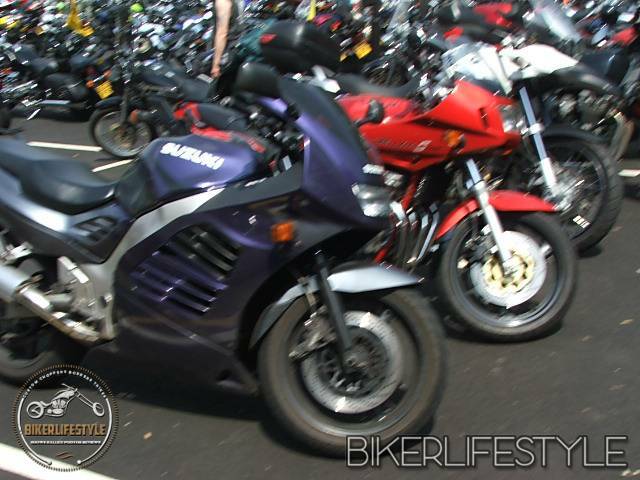 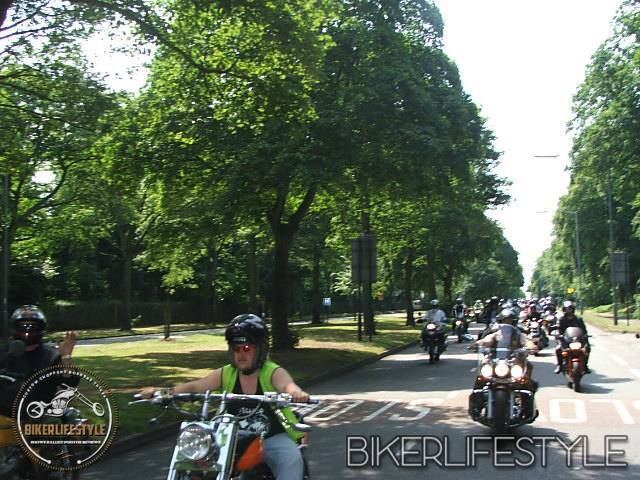 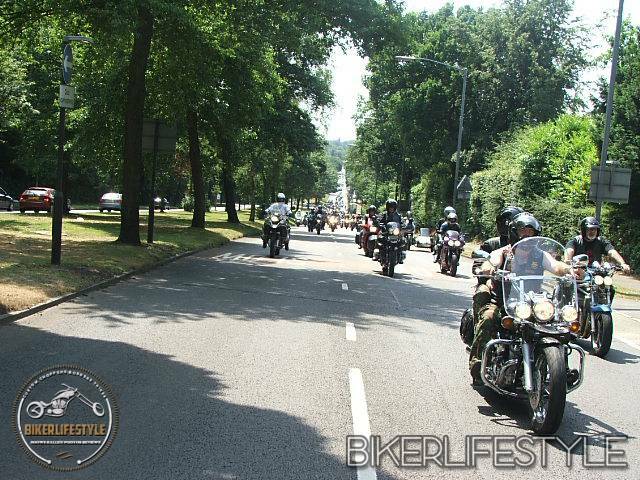 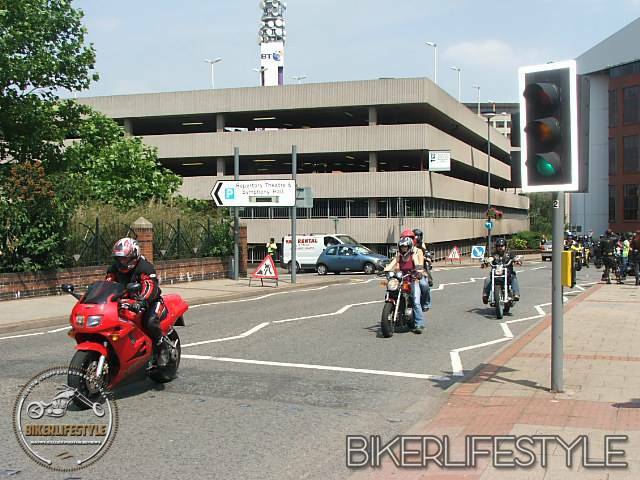 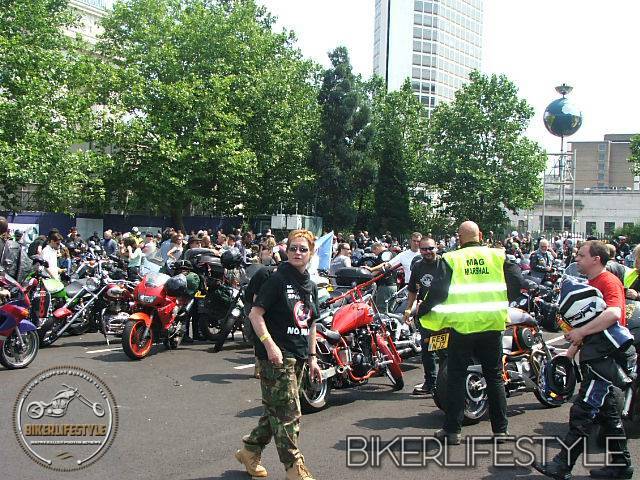 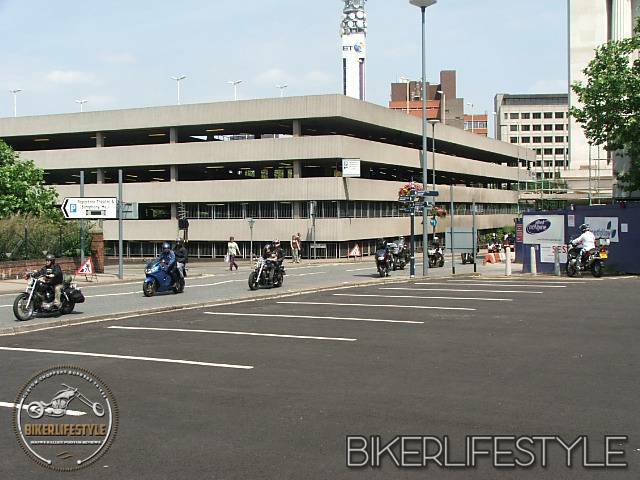 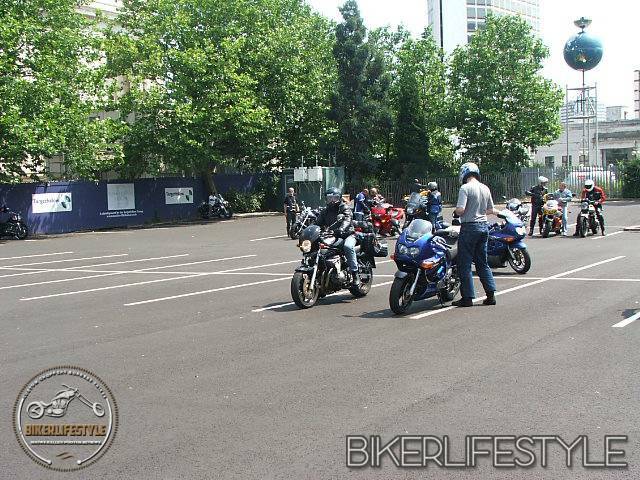 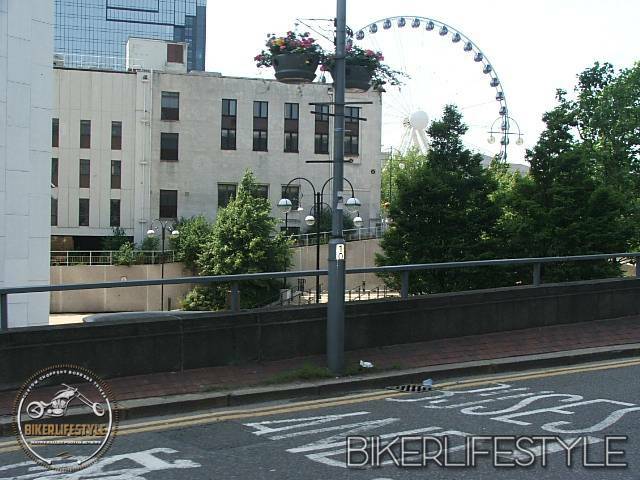 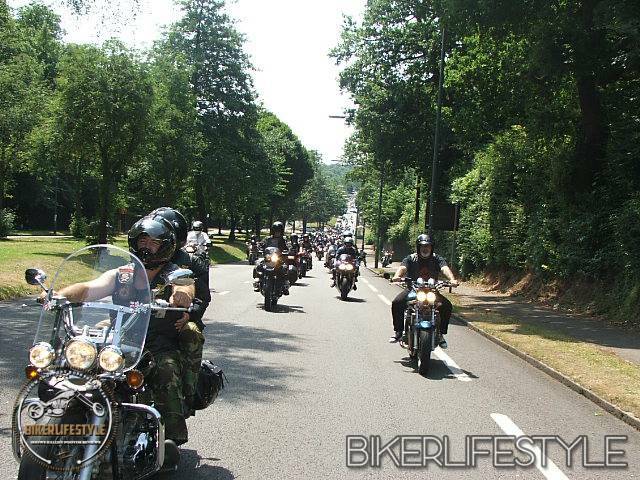 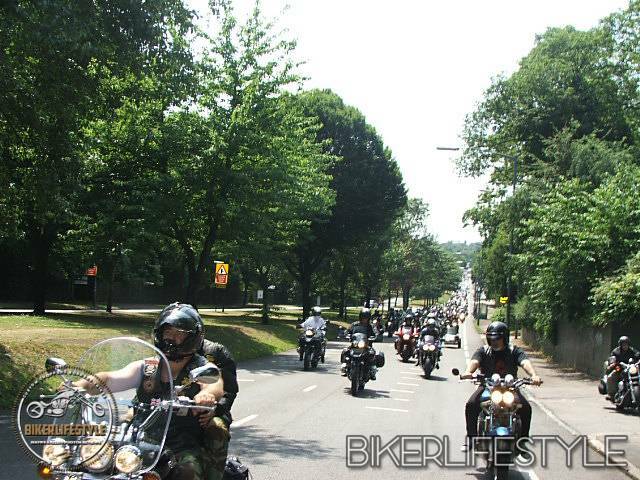 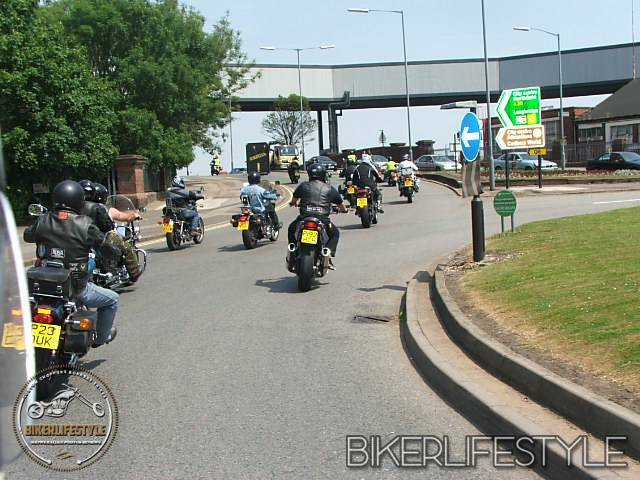 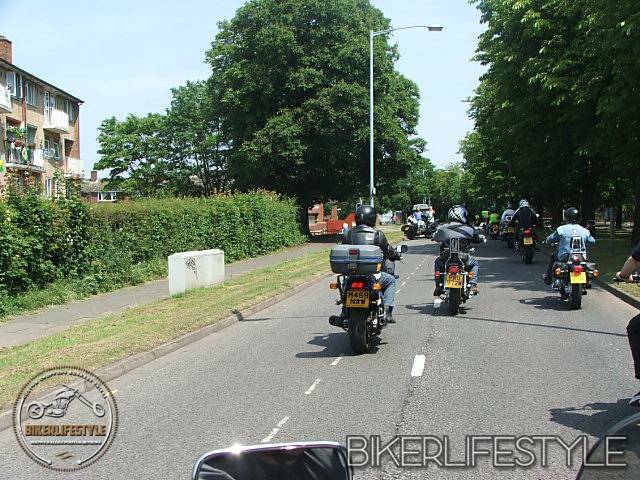 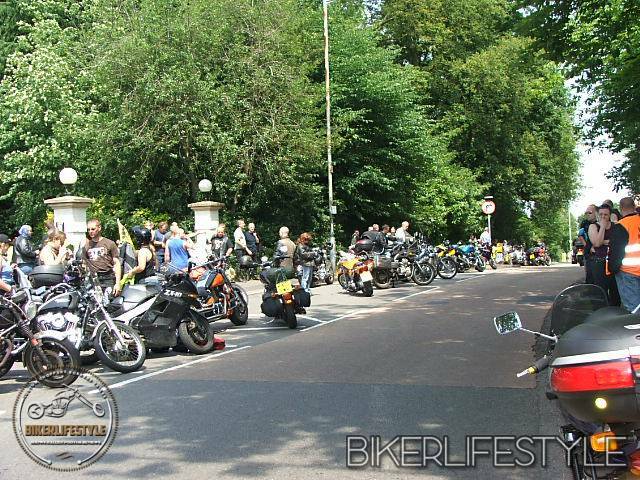 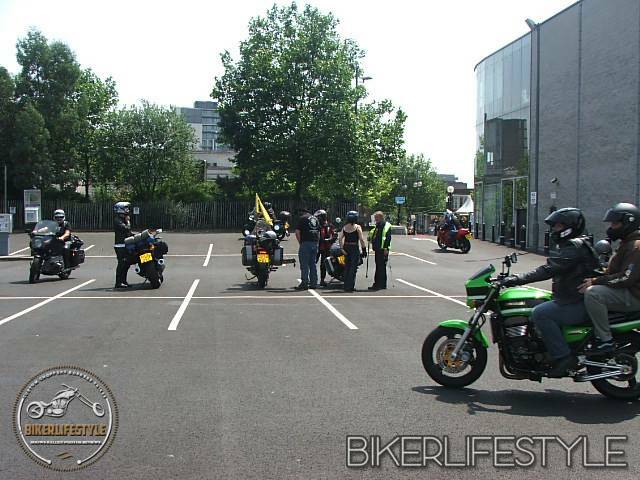 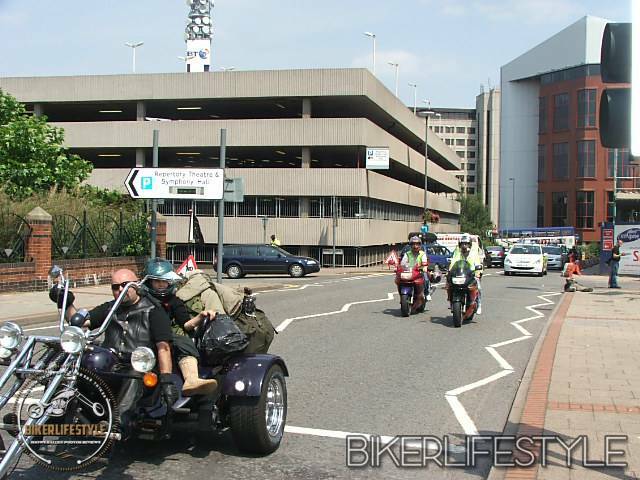 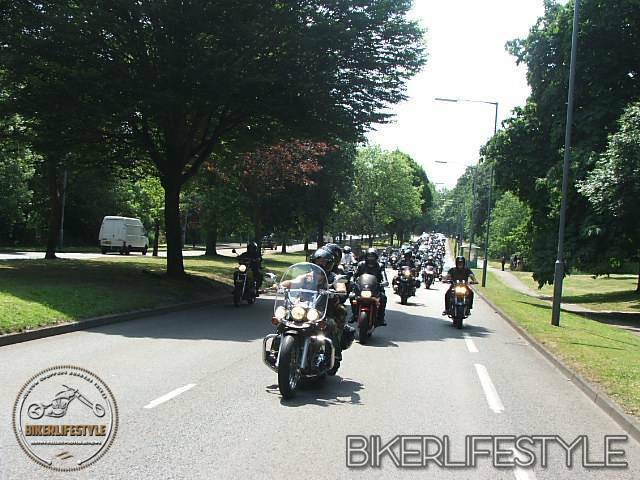 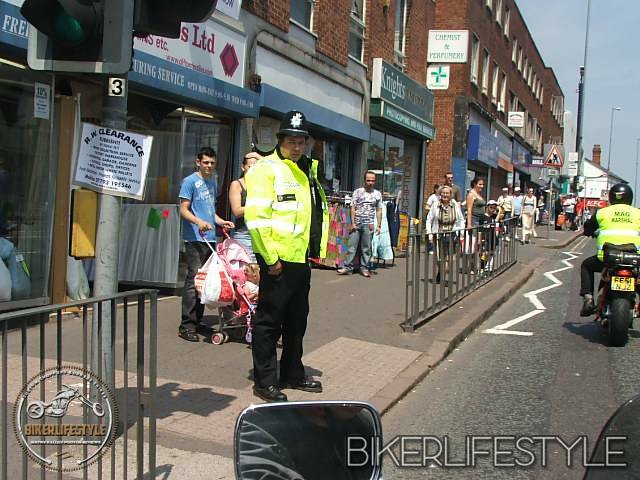 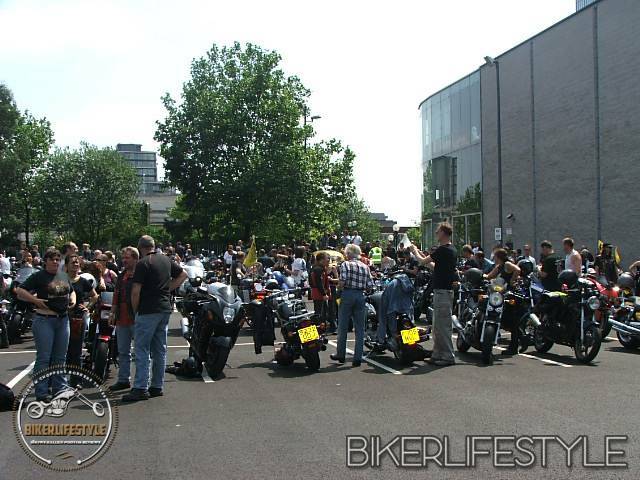 It was lovely to see about 400 + bikes turn up after after the rather poor attendance of the last few years. 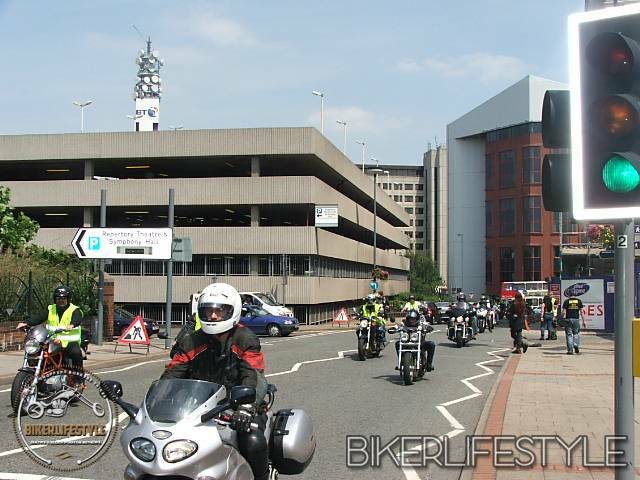 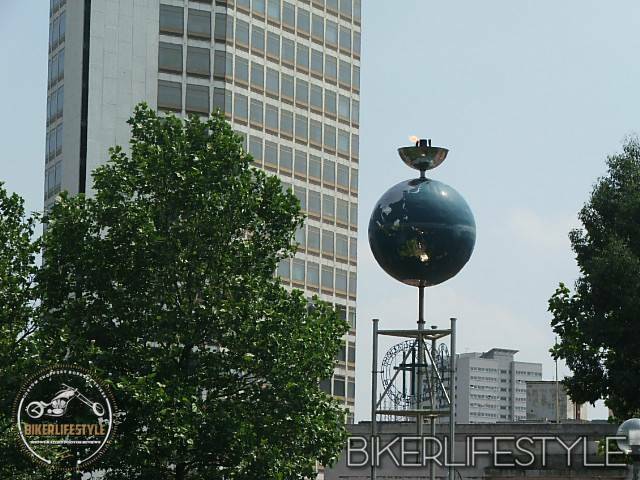 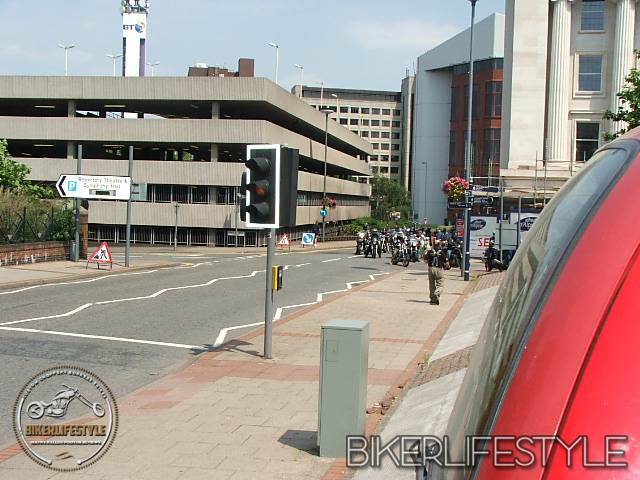 It ran from The Hare and Hounds Pub on the Lickey Road, leaving at 1pm, into Centenary Square. 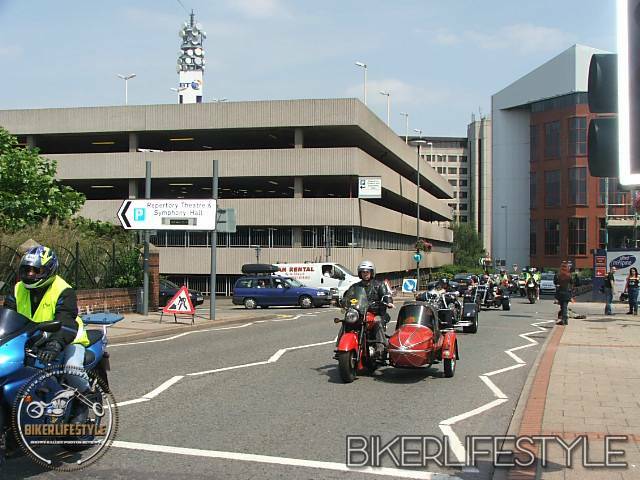 We travelled at about 5-10 mph and were greeted by the shoppers in the town, we opserved all the traffic lights etc, and after arriving at Centenary Square we went over to Centenary Park where, Ian Mutch of Mag and the local Councillor made speeches concerning the Driving licence Directive. 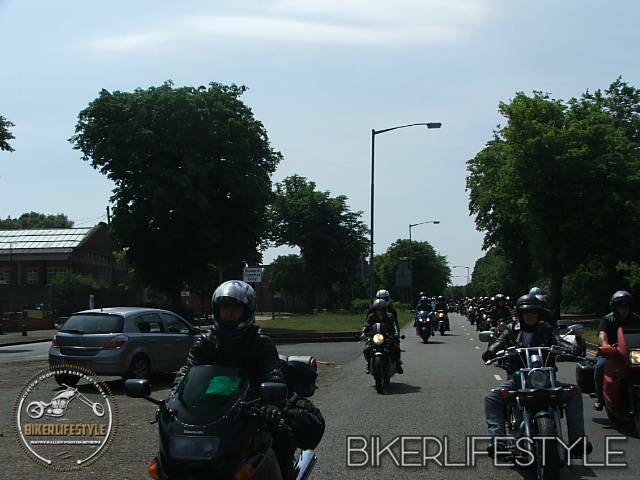 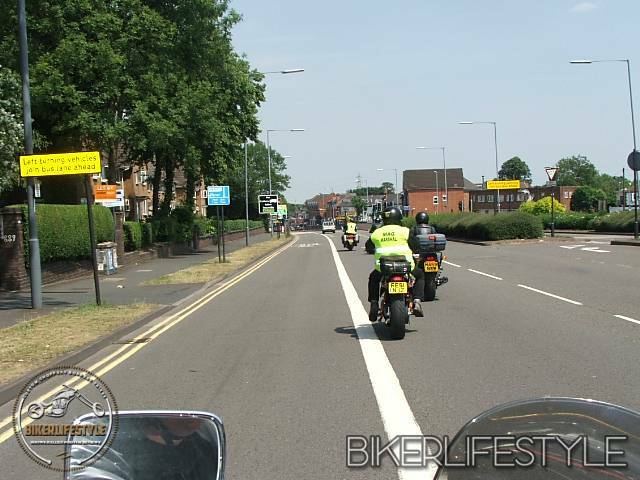 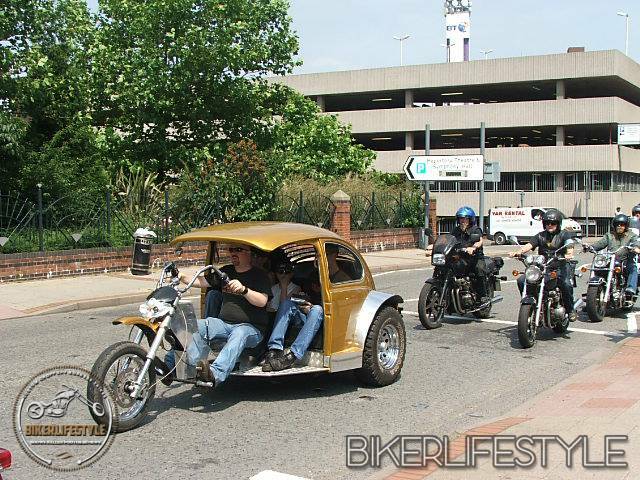 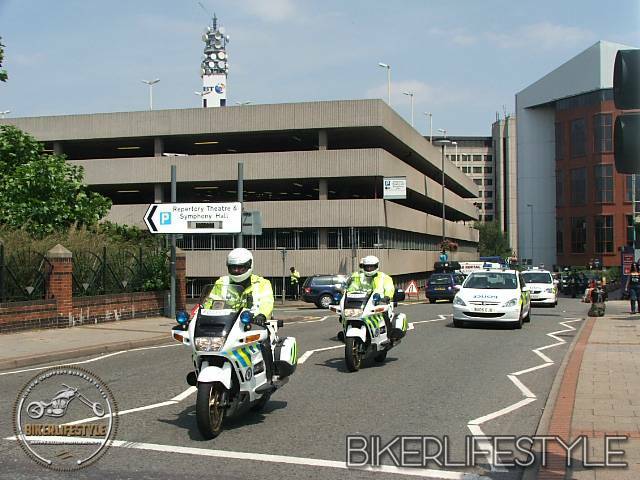 The weather was into the late 20’s and maybe even made the 30 mark and after the run most of the riders returned to the Heart of England Rally which is run in conjuction with the Demo.